complementary chair and table portability offerings. Products, LLC conducting business under the name XpressPort®. XpressPort products are made in the United States. is a great addition to our growing portfolio of product collections. procurement of Holsag Canada in January 2017. Seating, and the newly acquired XpressPort. 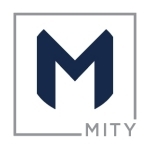 LBR Communications for Mity Inc.